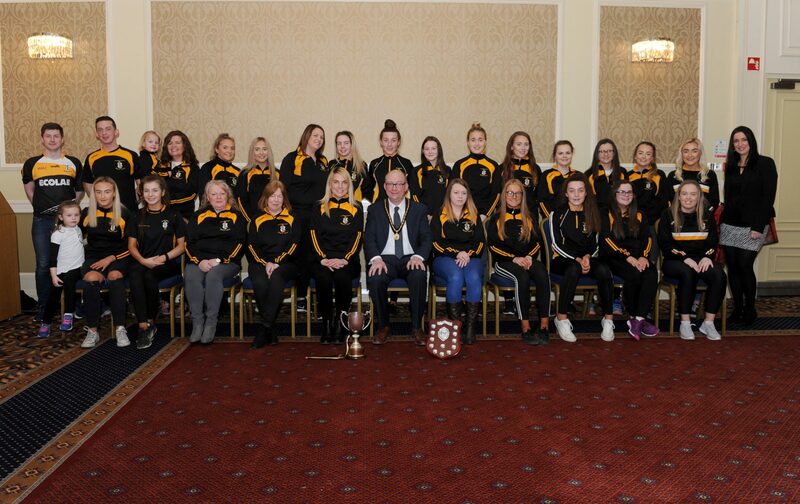 Deputy Lord Mayor of Armagh City, Banbridge and Craigavon, Cllr Paul Duffy hosted a joint Civic Reception for Armagh Senior teams to congratulate them on their sporting success at Armagh City Hotel; Michael Dwyers Senior team on winning the Junior League and Junior Championship; Mullabrack Ladies Gaelic team on winning the Junior Championship and Club of the Year 2018; Granemore Senior Ladies Camogie team on winning the Senior Championship for the third consecutive year and Premier League; Ballymacnab Round Towers Senior team on winning the Division 1 Senior League and Senior Reserve league; Céide Lamh Dhearg Hurling Club on winning the Armagh Senior Hurling Championship. 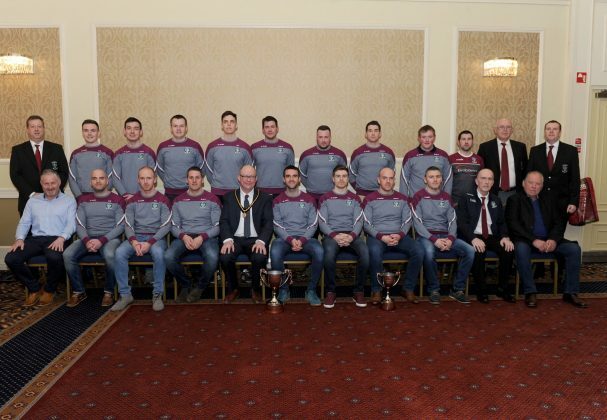 Deputy Lord Mayor, Cllr Paul Duffy congratulates Michael Dwyers Senior team on winning the Junior League and Junior Championship. 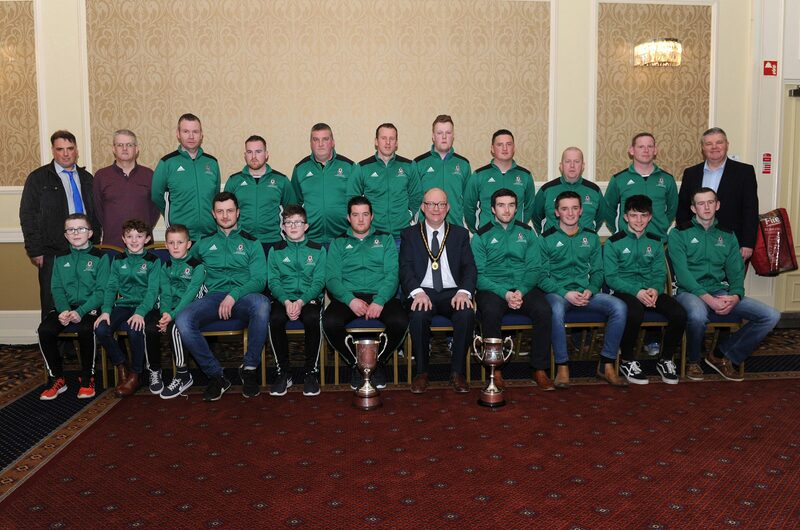 Included are; Patrick Og Nugent (Chairman), Paul Doyle (Manager), Ian Watt (Backroom), Justin McKee (Management), Michael Cullen (Management), Conor Farlin (Captain), Stephen Murray (Vice Captain), Cllr Darren McNally and Cathal Boylan MLA. 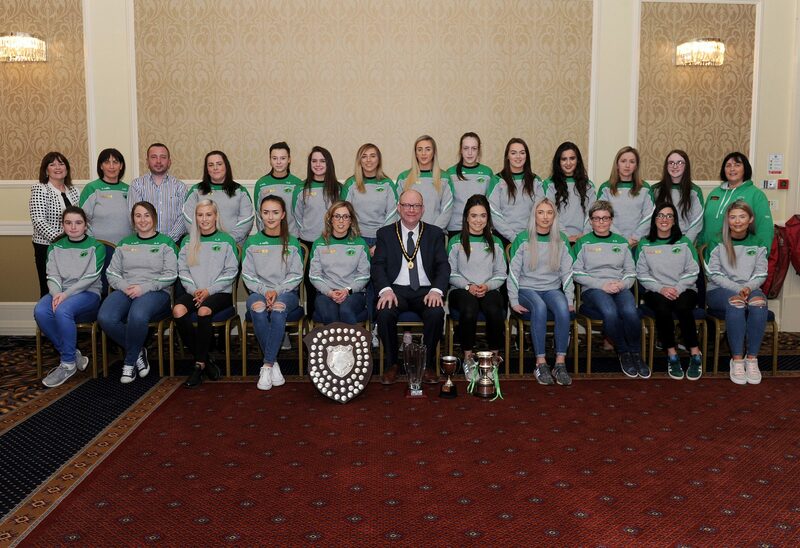 Mullabrack Ladies Gaelic team attend the Civic Reception at Armagh City Hotel to celebrate winning the Junior Championship and Club of the Year 2018 with Deputy Lord Mayor, Cllr. 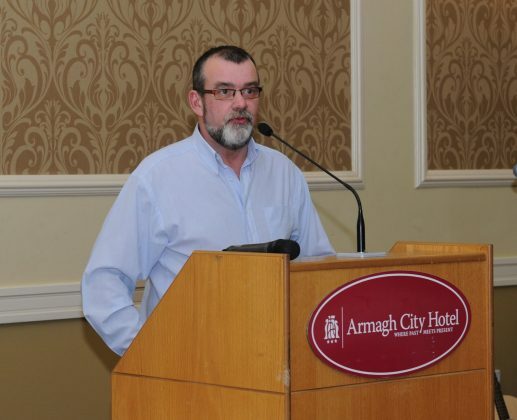 Paul Duffy. 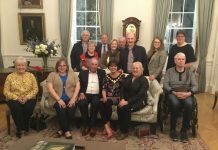 Picture includes; James Rice (Manager), Hugh McSorley (Manager), Josie McSorley (Backroom), Kate Boyce (Committee), Marion Fields (Coach), Cristina Crilly (Captain), Frankie Boyce (Captain) and Cllr Sharon Haughey-Grimley. Senior Championship winners for the third consecutive year and Premier League winners 2018, the ladies of Granemore Senior Camogie team attended a Civic Reception with Deputy Lord Mayor, Cllr Duffy to celebrate their success. 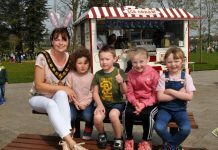 Picture includes; Lucy Doyle (Chairperson), Ann O Hare (Backroom), Philip Kirk (Manager), Mairead McCann (Manager), Bebe Devlin (Backroom), and Captains Colleen O' Hare and Aileen Doyle. 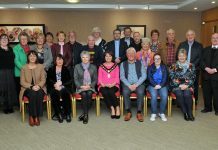 The club also received the Club of the Year award for 2018. 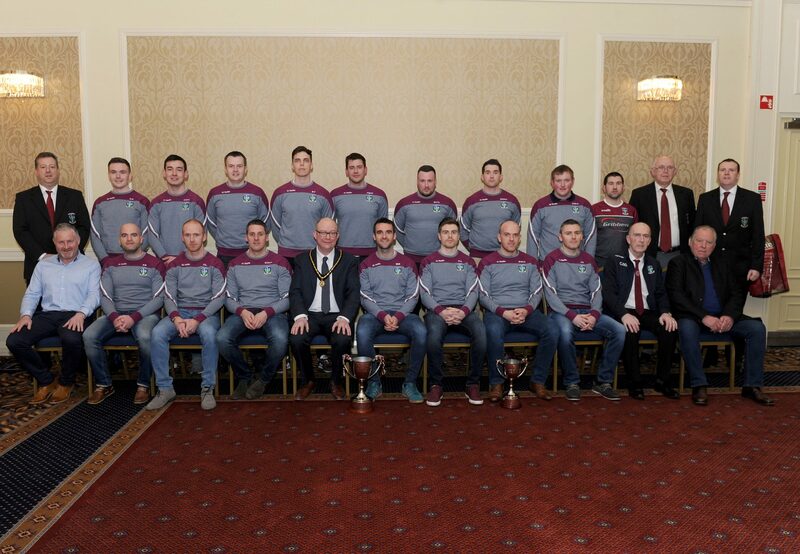 Deputy Lord Mayor, Cllr Paul Duffy congratulates Ballymacnab Round Towers Senior team on winning the Division 1 Senior League and Senior Reserve league 2018. Included are; Mickey McGivern (Chairman), Kevin Gribben (Treasurer), Nelius Boyle (Treasurer), Bernie Murray (Manager), Michael Beagan (Captain), Brendan McCone (Vice President) and Brendan Gribben (President). Sean King, Manager speaks on behalf of Céide Lamh Dhearg Hurling Club who won the Armagh Senior Hurling Championship 2018.